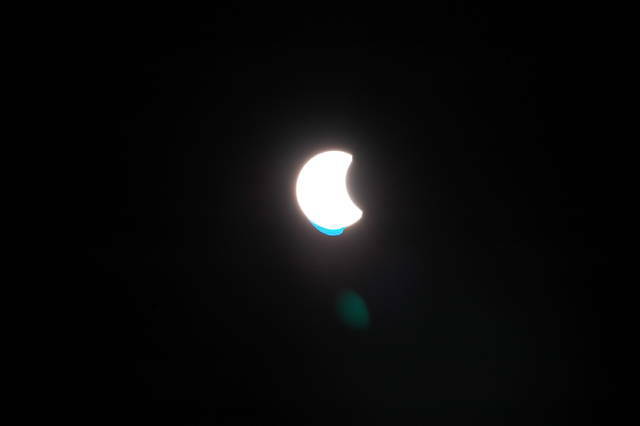 The sun was eclipsed to varying degrees, increasing from about 1 p.m. with a climax at 2:33, and ending at 4 p.m. Here the sun is just beginning to be eclipsed by the sun. This is an early photo of the eclipse, when effects of the moon began to be seen. 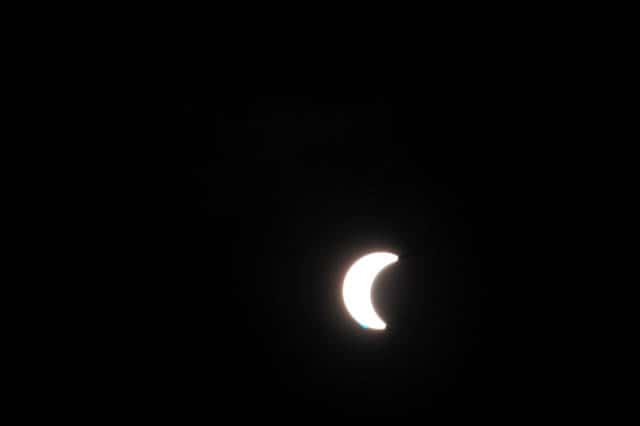 Here the sun is becoming significantly blocked, the moon covering about half of the sun. 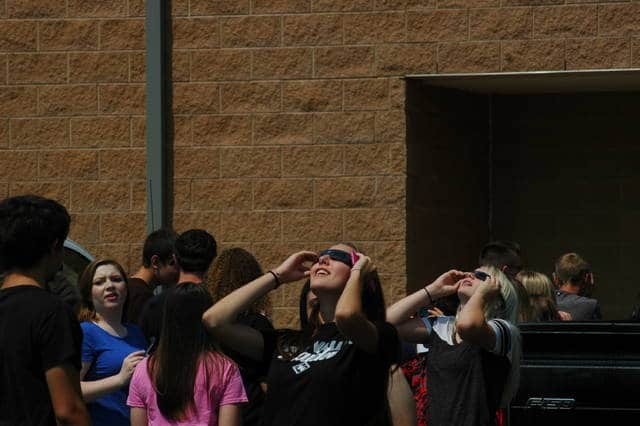 At River Valley High School students were given special glasses to be able to witness the rare event. 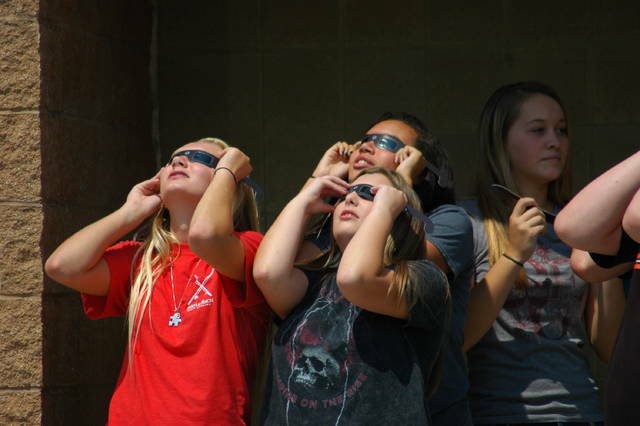 Students held the glasses tight to their face to ensure safety, and stare in awe at the celestial phenomenon. 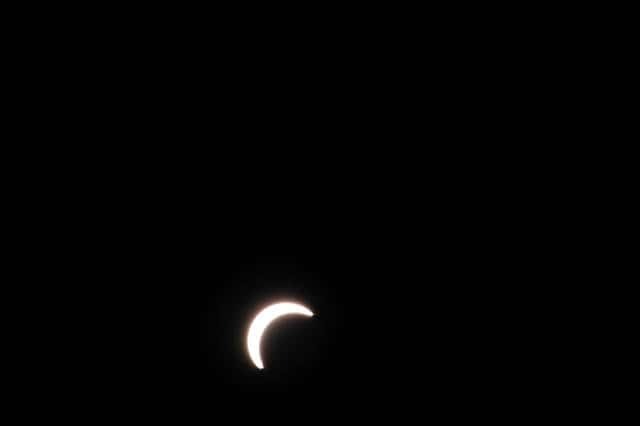 As the moon eclipsed more of the sun it became more dramatic, eliciting excitement from the watching students. 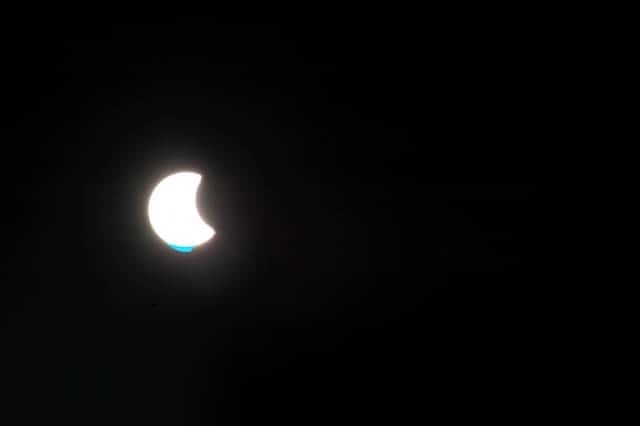 Here the eclipse is at its peak for Gallia County, covering nearly the whole sun. Despite this, it was still quite bright out. 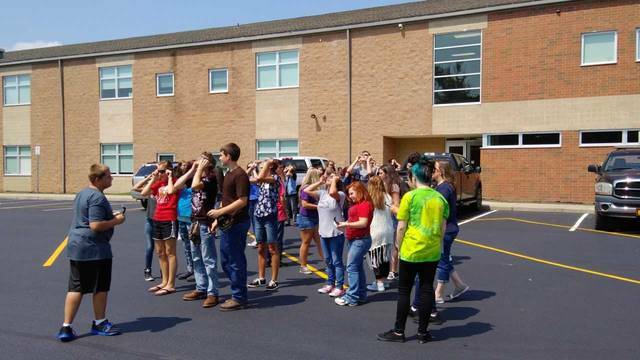 The students came out in groups to see the eclipse, taking a break from Freshman Foundations. 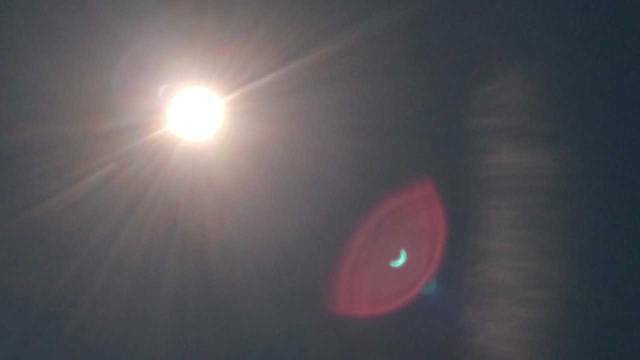 This is a photo taken near the peak of the eclipse with a cell phone, showing how powerful the sun remains even when mostly blocked. 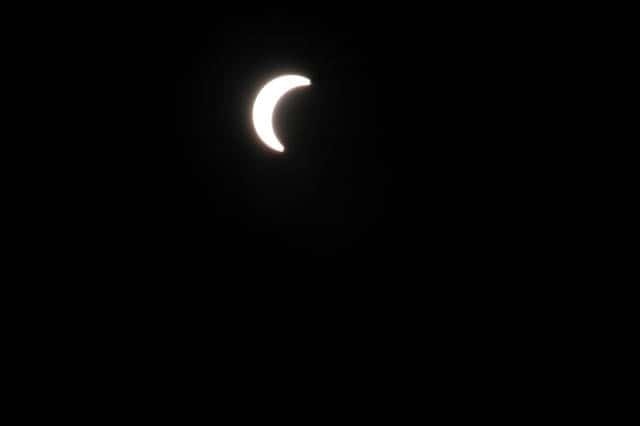 The glasses made it possible, and safe to see the eclipse. 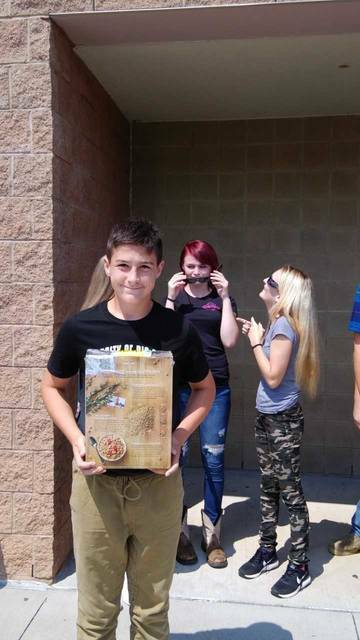 One student got creative to safely see the eclipse, constructing a viewing box using aliminum foil and white paper.